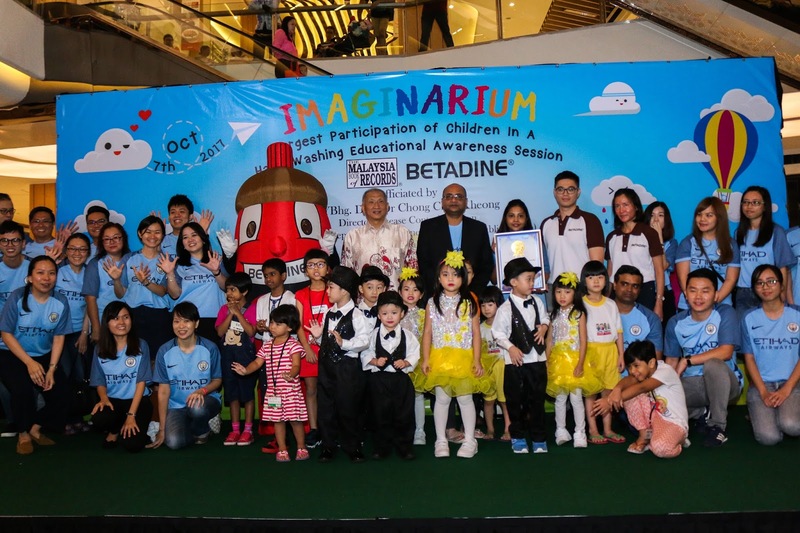 Saturday 7, 2017 marked a meaningful date whereby BETADINE is the trusted Povidone-Iodine brand worldwide, the team behind the BETADINE® brand in Malaysia and its co-organizer Stickman will attempt to break the Malaysia Book of Records for the largest group of children in Malaysia performing the correct hand washing steps together to mark World Children’s Day. They aims to gather over 2,000 children at the Concourse Floor of Atria Shopping Gallery on that day at 10.00am to 1.00pm. 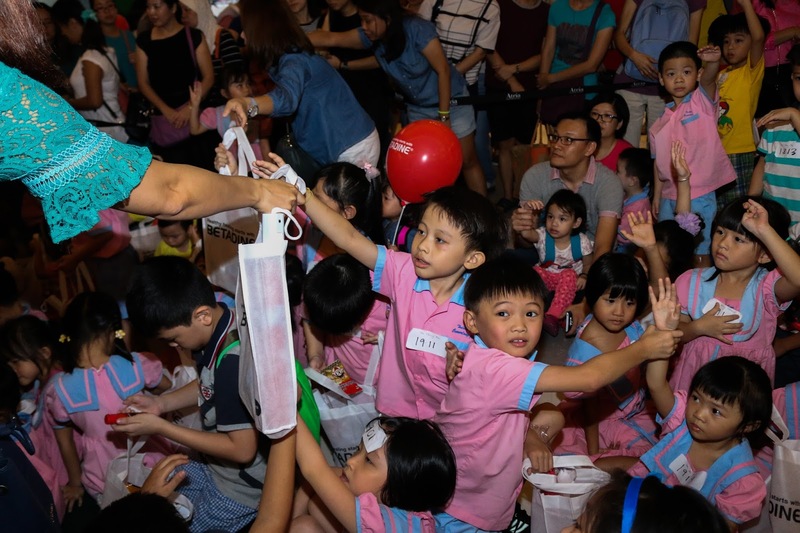 The respond are good as children aged 4-12 from various kindergartens, primary schools and orphanages around the country join the cause together with representatives from both the Ministry of Health Malaysia and the Malaysia Book of Records. Hand-Foot-and-Mouth Disease or known as HFMD has increase with a total of over 23,000 cases reported between January to August of 2016. HFMD not only effect children but the disease also happen in adults due to the lack of immunity to the viruses. The World Health Organization have also reported an increase in cases of HFMD in Malaysia, as well as cases of Influenza cases around Southeast Asia for this year up until the week of 20th August 2017. This event is to promote hand washing habits for better hygiene protection to prevent upcoming anticipated annual flu (Influenza) peak season in tropical countries like Malaysia. Flu viruses circulate year round, with an increase in influenza incidence observed in April–July and November–January. 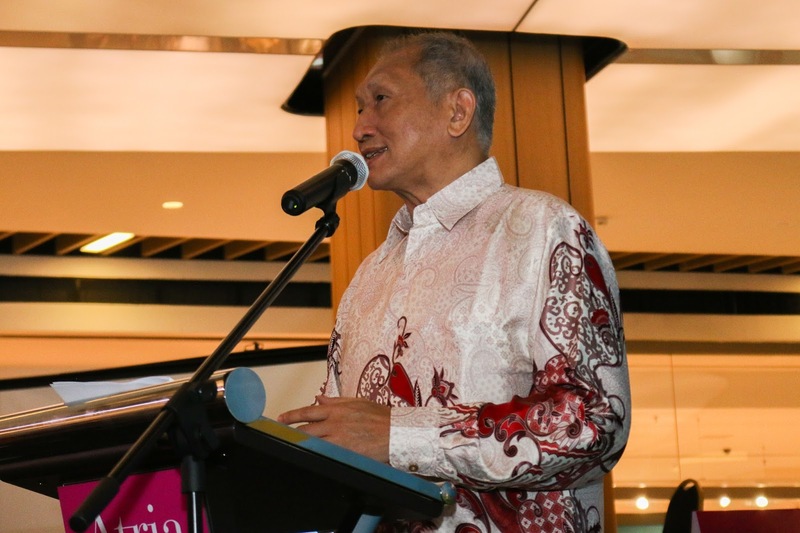 The event will kick off with an official launch by Dato’ Dr Chong Chee Kheong and representatives from the Malaysia Book of Records. During the record-breaking event, participants actively show their support and dance to an original jingle composed by BETADINE® Malaysia. The catchy song will not only help children to remember the important steps in hand washing but also includes when they should wash their hands. 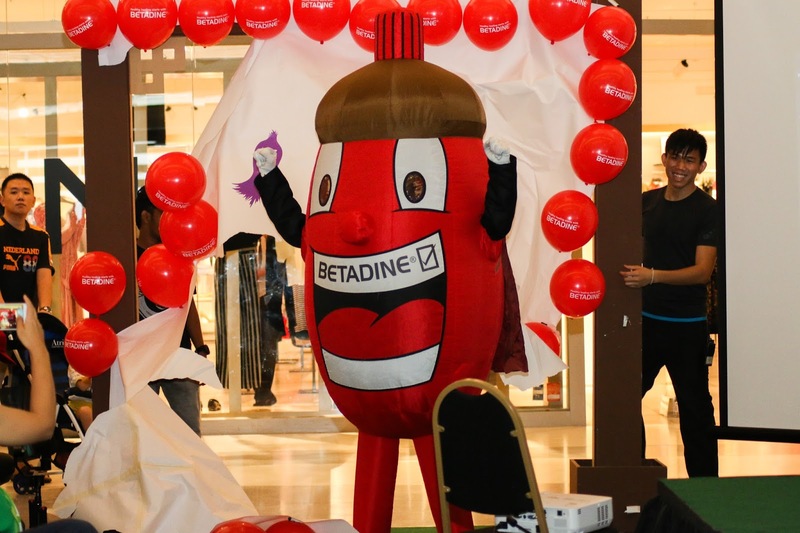 Kudos to BETADINE® team as they have make the first move to educate children on the importance of healthy hand hygiene practices. They have went to out to over 30 kindergartens, including more than 2,000 children around the Klang Valley. 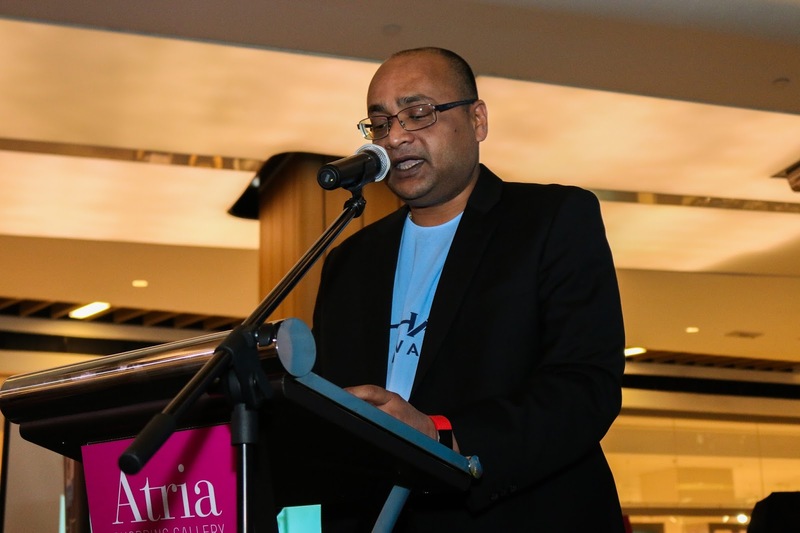 The team behind the brand also plans to expand this initiative to other regions, in an effort to help the public identify early symptoms of HFMD and Influenza and ways of prevention. The BETADINE® team brand also plans to educate children on the effective way to wash their hands using the BETADINE® Antiseptic Skin Cleanser which contains the active ingredient, 7.5% povidone-iodine: a scientifically-proven antiseptic that kills bacteria, fungi and viruses that cause infections, and offers additional germ-killing action against viruses. The antiseptic wash has been clinically-proven to kill 99.99% of the leading strains of HFMD such as Coxsackievirus (CA16), Enterovirus 71 (EV71) and Influenza. BETADINE® Antiseptic Skin Cleanser is a suitable choice to prevent the transmission of germs on human skin. It not only kills bacteria and fungi but is also effective in eliminating disease-causing viruses responsible for HFMD, Influenza, common cold and flu, which is recommended to be used when there is a high risk of germs transmission that may cause an infection. BETADINE® Antiseptic Skin Cleanser comes in a distinct golden brown colour that helps to identify the areas of the skin that users have washed without staining the skin, fingernails or hair. This is extremely helpful for children in order to determine whether they have washed their hands thoroughly or not. The event will start from Friday, 6 October 2017 to Sunday, 8 October 2017 at the Concourse Level of Atria Shopping Gallery for public to learn the correct ways to wash their hands. There will be experiential booths set up which include games on maintaining hygiene and giveaways. Families are encouraged to bring their children for a fun-filled educational weekend on hygiene. For more information on BETADINE® Antiseptic Skin Cleanser, please visit my.betadine.com/en/my/protective-care or its Facebook page facebook.com/BetadineMalaysia.